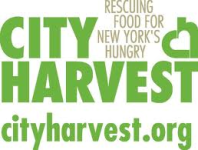 GNA has partnered with City Harvest to participate in their food rescue in Union Square. City Harvest rescues excess food using a fleet of 19 refrigerated trucks, three cargo bikes, over 150 employees, and more than 4,000 volunteers. Each year City Harvest collects nearly 50 million pounds of food. Sixty percent of this total will be comprised of fresh fruits and vegetables.